Bokwa® SafariCycling™ is one of the latest programmes from Bokwa®, and is a fun variation on Spin Cycling. Bokwa® SafariCycling™ combines the Bokwa® learning system (Learn it, Remix it, and Combo it!) with standard cycling movements and an incredible soundtrack of today’s current hits, to create an exhilarating calorie burning class. 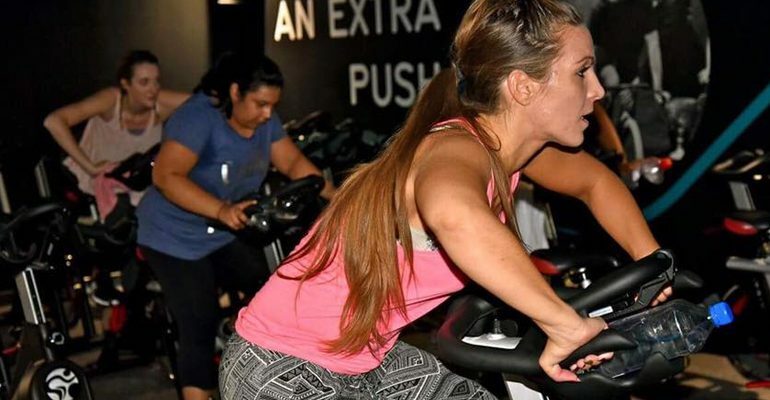 Participants in a Bokwa® SafariCycling™ class each have a spin bike, and perform specific moves to uptempo and energetic Bokwa music as directed by the instructor.